Note: This image is for illustrative purposes only and may not reflect the actual picture. V3800TDIR-BC-EGR Engine fits the Bobcat S330 & T320 Skid Loader. 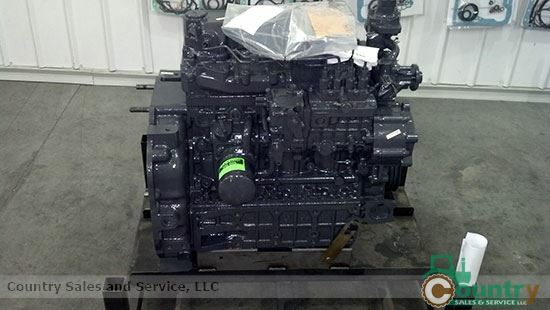 This tier 3 rebuilt engine has been re-manufactured with Kubota OEM parts and tested to meet Kubota specifications. In stock and ready to ship. For faster service, call or email us with your engine model and serial number. This engine is configured to fit this application only and is covered by 1-year/unlimited hours warranty plus free tech support. Engine Cores are available for re-manufacturing.